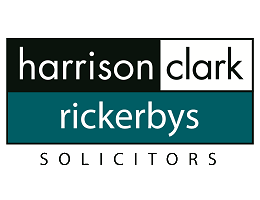 Harrison Clark Rickerbys (HCR) are an affiliate partner of X-Forces. They are a top 100 UK law firm of 400 personnel across 6 offices in Birmingham, Worcester, Cheltenham, Hereford, Ross-on-Wye and Reading, with a serviced office facility in Central London. The firm provides City-quality legal services to business and private clients across the South and West Midlands, Thames Valley and Wye Valley corridors and southeast and west of England, with specialist expertise in defence, security and the forces, as well as agriculture and rural affairs, hospitality, leisure and sport; legal services involving children; construction and engineering; health and social care; and education. HCR’s Defence Security and Forces Team provide a full range of legal services to both businesses and private individuals, advising clients who operate locally, nationally and internationally, supplying a wide variety of defence and security related goods and services, as well as serving and former members of the military. They have provided resettlement training and welfare services to the SAS and the RAF, administer the Herefordshire Security and Defence Group, support the export council of British Security Industry Association, and work closely with SABRE, SSAFA and other bodies supporting the military community. Alongside their bespoke legal advice, HCR also provide a free legal helpline to all members of the defence, security and military communities.